People born under the sign of Virgo try to aspire in life almost to perfection. They always want to fulfil their goals as best as possible. They have huge need of aspiration to accomplishment of own dream purposes. Virgos try to improve everything what they can; therefore their living often evokes great admiration amongst family and friends. They are full of energy, adore order and cleanness. They respect other persons, thus are respected amongst the society. Virgos very often suggests other people how they should take care of their appearance or how to dress up. Sometimes it's for another people a kind of interfering in their sphere of privacy, but mostly people are satisfied when someone advises them how to dress, since everyone wants to be at the top and to dress fashionably. Both women and men shall benefit from such consultancy. Virgos adore the nature, since they love flora and fauna, they admire every moment spent amongst wildlife. Such people like to deal with garden and care over the flora, it gives them a great pleasure, because they are aware that the life of plants depends only on them. 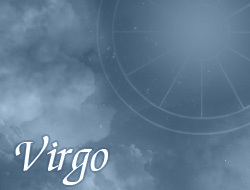 Virgos are characterized by neatness, organization and mobilization, which in many situations are very useful. Too great aspiration to excellence may reveal by criticism in relation to surroundings; therefore such persons try to keep distance towards the surrounding. They like to stay in the company of people and to establish contact with them, but simultaneously are careful. Virgos can be a good salesmen, archaeologists, travelers, advisers, or also negotiators in the future. If they decide to work on such positions, certainly will achieve success if will carry out work with commitment.